The date for next year's SPC Blog Seminar is provisionally fixed for the afternoon of Wednesday 13 January 2010. This may sound like a long time ahead, but time passes rapidly and diaries soon fill up with commitments that stretch into the distant future. The blog team, which hopes to run the seminar in much the same way as it did this year, invites your suggestions as to (i) topics on which you would particularly welcome presentations and (ii) speakers whom you'd like to hear or whom you can personally recommend. We may not be able to accommodate every preference, but we have a greater chance of fulfilling your requirements if we know what you want. "44 ... that delay also means that it will lose part of the effective protection period of the patents granted in respect of Imagify. The 20-year protection period for Imagify commenced on 27 February 1997 with the filing of the first patent application and will therefore lapse on 27 February 2017. The applicant cannot derive the benefits accruing from that protection before obtaining the CMA. The patent protection period may of course be extended beyond the 20-year period through the grant of a supplementary protection certificate, but the effective period resulting from the refusal to grant the waiver sought will still be shorter than that which the applicant would have obtained had the waiver been granted. impact on that product’s life-cycle turnover. Later market entry for the product will delay sales, and the potential turnover should not be calculated from the first year, when sales are modest, but rather in the year before loss of exclusivity, when product sales are peaking. In addition, a change in the order of entry of Imagify into the market in relation to other products will have a significant impact on the applicant’s market position if it reaches the market as manufacturer of the second ultrasound perfusion defect imaging product instead of the first, as is currently envisaged. shortening of the protection period for its patent through the award of damages. Entitlement to damages for loss suffered is subject to a set of conditions relating to the unlawfulness of the conduct alleged against the Community institution, the presence of damage and the existence of a causal link between the conduct and the damage complained of". "63 ... the applicant argues that the damage suffered if the interim measures sought are not granted will be caused by the delay in introducing Imagify onto the market and by the loss of a corresponding portion of the protection period of its patents. It emphasises the significant impact of that delay on its position in the market for cardiac diagnostic products and the need for it to introduce Imagify onto that market as the first ultrasound imaging product in order to prevent another pharmaceutical company from gaining an edge and obtaining a CMA for a competing product, thereby acquiring a market share that it would not be able to acquire with Imagify present on the market. 64 However, the damage caused by such a delay in placing the product in question on the market, far from being able to be considered certain or, at the very least, sufficiently probable, is purely hypothetical in nature in that it presupposes the occurrence of future, uncertain events ... There is no certainty whatsoever that that product will be introduced onto the market, as it depends on the Commission’s granting a CMA, for which the applicant has expressly stated it ‘will be applying’ ... after successfully completing the validation procedure pending before the EMEA. In respect of that future authorisation procedure before the Commission, the applicant has not asserted, and even less established, that it would lead to the granting of the CMA, in the sense that the granting of that authorisation would be merely a formality. 67 With respect to the nature of the alleged harm, the applicant states that, during the period in which the placing on the market of Imagify is delayed, it will risk a loss in turnover and profits on sales of Imagify as well as a shortening of the effective protection period of the patents granted for the product, as any delay in launching a patent-protected product has a considerable impact on the turnover achieved for that product. 68 The applicant is thus alleging damage which must be regarded as being purely financial, in that it consists in loss of the income likely to result from future sales of a patent-protected product". After posting a bit about the Netherlands in the last few weeks, and because the tulip season is on, the SPC Blog is devoting a little bit of time to the Netherlands Patent Office site. General information about SPCs can be found here. But the most useful thing is the register. Access to the register is by registration and login only, either as a non-professional (2 week registration) or as a professional (access to detailed search opportunities and the queries can be saved for retrieval later). It's pretty comprehensive, albeit in Dutch, but you can make out what you're looking for by clicking the English language side-bars. The attention of The SPC Blog has just been drawn to a decision of the Intellectual Property Office in the UK, summarised here and downloadable in full here, in which hearing officer Dr Cullen refused an application for a paediatric extension in respect of an SPC granted on 13 October 1995 in force from 9 July 2007. 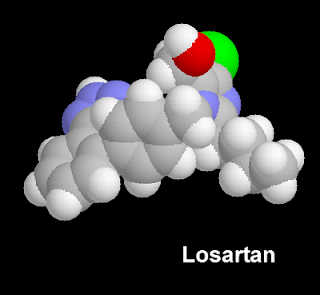 The active ingredient for which the SPC was granted was Losartan, as a potassium salt, used in treating hypertension in humans through its action as an antagonist of the angiotensin II receptor. The product was marketed in the UK under thevbrand name COZAAR by Merck & Co., Inc., a licensee under the SPC. "An application for a paediatric extension of granted certificate SPC/GB/95/010 was filed. The preliminary view of the examiner was that this application did not meet the requirements of Article 8(1)(d)(i) of Regulation (EEC) No. 1768/92 as it did not include a copy of the statement of compliance with an agreed completed paediatric investigation plan as referred to in Article 36(1) of EC Regulation (EC) No. 1901/2006. This view was upheld by the Hearing Officer who considered the relevance of Articles 8, 23, 24, 29 and 36 of Regulation (EC) No. 1901/2006 and IPO decision BL O/035/09 (Merck & Co. Inc) [see SPC Blog note here for comment and link to the decision]. He further found that the application did not fulfil the condition of Article 8(1)(d)(ii) of Regulation (EEC) No. 1768/92 to prove that the product was approved for use in all EU member states. This he found to be an explicit requirement under Article 36(3) when the Mutual Recognition Procedure (MRP), as set out in Articles 32-34 of Directive 2001/83/EC, is used to gain approval for variation of the marketing authorisation. The documents supplied, a commission decision under Article 29 of Regulation (EC) No. 1901/2006, a preliminary variation assessment report from the national competent authority of the reference member state and an opinion from the Paediatric Committee of the European Medicines Agency (EMeA) on compliance with an agreed completed paediatric investigation plan were not sufficient to meet the requirements under Article 36 of Regulation (EC) No. 1901/2006 regarding a statement of compliance with an agreed completed paediatric investigation plan and that the product was approved for use in all EU member states". The full decision is 25 pages long and I've not yet had a chance to read it in full, so the blog will return to it soon for fuller discussion and analysis. "The Dutch Court clearly distinguished its judgment from the UK decision and the distinction was justified by new experimental evidence as well as expert evidence provided by Tiefenbacher. The expert evidence was actually very interesting. In the UK case, Kitchin J heavily relied on the interpretation by Prof Davies, Head of Chemistry at Oxford University, of certain organic chemistry rules called the "Baldwin Rules", which were created by Davies predecessor at Oxford, Prof. Baldwin. In the Dutch proceedings, Tiefenbacher managed to have Prof Baldwin act as a expert witness to explain his own rules. He had not been involved in the UK proceedings. This lead to a very interesting confrontation in the Courtroom between the current Oxford Chemistry Professor and his predecessor. The explanation of the Baldwin Rules by Sir Baldwin himself (to set straight what went astray in the UK) was a very important factor in getting the Dutch Court to distinguish the case from Kitchin J's decision. " You can get a summary of the case in English here. Read the Dutch decision here. 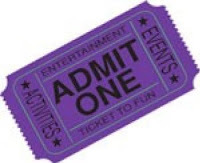 Two forthcoming upmarket patent conferences have competitions attached to them for which the prize is free admission. The first of these conferences, C5's 8th Annual Maximising Pharma Patent Lifestyles Conference, takes place at the Grosvenor Hotel, London, on 14 and 15 May. The conference is preceded by pre-conference workshops on 13 May, one of which is a Master Class on SPCs. The organisers are also offering "buy one delegate place, get one workshop place free". Further details of both conference programmes and the terms on which free admission may be obtained are available via the IPKat weblog here. The Dutch first instance decision in ratiopharm et al v Lundbeck, concerning the validity of Lundbeck’s escitalopram patent (EP 066) has now been handed down by the Hague District Court. The court held that all the claims of Lundbeck’s escitalopram patent (and Lundbeck’s Dutch Supplementary Protection Certificate which was based upon it) were invalid for lack of inventive step. Interestingly, the court's decision contains many references in the decision to the 4 May 2007 decision of Mr Justice Kitchin, with which decision the Dutch Court on relevant points “respectfully disagrees” (as the court said, in English, at § 6.39), on the basis of different/further evidence to that put before Kitchin J. You can read the court's decision in full here -- in Dutch. [Information supplied by Richard Ebbink and Mark van Gardingen, Brinkhof]. Synthon requested that the Octrooicentrum revoke the certificate or revise the date of the certificate based on the earlier marketing authorisations that were not granted in accordance with directive 65/65. The Netherlands Patent Office denied this request. In their view it follows mainly from the recitals in the preamble that the relevant first marketing authorisation is an authorisation in accordance with directive 65/65, i.e. for a medicinal product which has been tested thoroughly for quality, safety and efficacy. Thanks to Martijn de Lange from the Netherlands Patent Office for informing us about this decision. 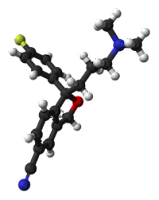 Just in case you missed out on the German Patent Court decision on Memantine of 11 December 2007, you can get it here. How far from Vilnius to Luxembourg? "1. Is the date, referred to in Article 19(2) of Regulation No 1768/92, upon which that regulation enters into force to be understood for Lithuania as the date of its accession to the European Union? 2. Should the answer to the first question be in the affirmative, what is the relationship between Article 19 and Article 7 of Regulation No 1768/92 when calculating the six-month period and which of those articles is it necessary to apply in a case? 3. Did an authorisation to place a product on the market in the European Community enter into force unconditionally in the Republic of Lithuania from the date of its accession to the European Union? 4. Should the answer to the third question be in the affirmative, can the entry into force of the authorisation to place the product on the market be equated to its grant for the purposes of Article 3(b) of Regulation No 1768/92?" Mr Justice Floyd (Patents Court, England and Wales) has just given judgment this morning in Synthon BV v Merz Pharma GmbH & Co KGaA (no neutral citation has yet been allocated and the judgment is still subject to editorial corrections). "1. The question which arises in this action is: can one obtain an SPC in circumstances where the product has been placed on the market in the Community without the need to do safety and efficacy testing as prescribed in 65/65, or indeed at all? The defendant Merz Pharma GmbH & Co. KGaA (“Merz”) says that you can. The claimant Synthon B.V. (“Synthon”) says that you cannot. 2. 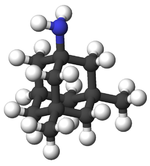 Merz is the proprietor of SPC No GB 02/046 (“the SPC”) granted on 14th August 2003 in respect of a compound called memantine. Although the SPC was granted on the basis of EU wide marketing authorisations granted in 2002, memantine had already been on the market in Germany (but not in the UK) for a quarter of a century. By this action Synthon seek revocation of the SPC on a number of grounds, or a declaration that it has zero term". "85. ... I will exercise my discretion to refer the questions of law which arise on the interpretation of the SPC Regulation to the ECJ. I invite the parties to make submissions as to the wording of the reference, following which I will make an order directing a reference to the Court". The SPC Blog will provide a note on this decision soon. In the meantime, since it's not yet available on the excellent BAILII website, you can read it via the blog here. The blog will also keep track of this case as it travels to Luxembourg and back. Finally, a word of thanks to Alison Hall (Clerk to Mr Justice Floyd) for sending this to The SPC Blog so speedily. The SPC Blog has set up an auxiliary SPC Blog: Resources website, which offers links to relevant national and European SPC case law as well as to basic legal texts. If you know of anything that should be on the Resources site but isn't, please email The SPC Blog here and let us know. 2,097 readers now receive The SPC Blog by email circular. Why don't you join them? AG's Opinion in Merck: what's your opinion? © The contributors 2008-2017. If you'd like to reproduce, distribute or transmit any of the text written by the members of The SPC Blog's team, please feel free to do so, crediting this weblog as your source. None of the material posted on this weblog should be relied upon as legal advice in any specific instance. If you need legal advice please consult an appropriately qualified professional adviser. If you subscribe to the blog, The SPC Blog collects your email address which may include personal data such as the whole or part of your name. The SPC Blog relies on its legitimate interests to process this data so that we can keep you up to date with developments as reported on the SPC Blog. The SPC Blog does not make any other use of this data. It takes care to maintain its confidentiality and does not share your data with third parties. You have the right to unsubscribe from receiving emails from the SPC Blog at any time by emailing : the-spc-blog+unsubscribe@googlegroups.com. Some blog posts or comments may include personal data such as the name of the person who wrote or contributed to a blogpost, spoke at an event, made a comment or similar. Again, the SPC Blog relies on its legitimate interests to process this data. If you would like to have your personal data removed, please email spcblogqueries@gmail.com. The SPC Blog uses a variety of tools which are provided by Google to share its information. For example, the Blog is hosted on the Blogger platform and the SPC Blog uses Google Groups to manage and share the emails. The SPC Blog has no control over these tools and does not collect any data as a result of their use. Google may collect/or process your data in these circumstances. If you have any concerns regarding Google’s use of your personal data following use of these tools, please read Google’s policy.